Discovery Channel‘s Fast N’ Loud star Richard Rawlings and his fuzzy sidekick Aaron Kaufman may have “pissed off the purists” by spraying this Ferrari F40 black, but at least they saved it from being sold off as parts. I personally love what they did with this now rare $1,000,000 Ferrari. Aside from some incredible work done by some specialists they had to hire for the job, what they created was a faster and meaner looking Stallion. The chassis and frame was so bent out of shape it was boarderline whether they should bother with the project. 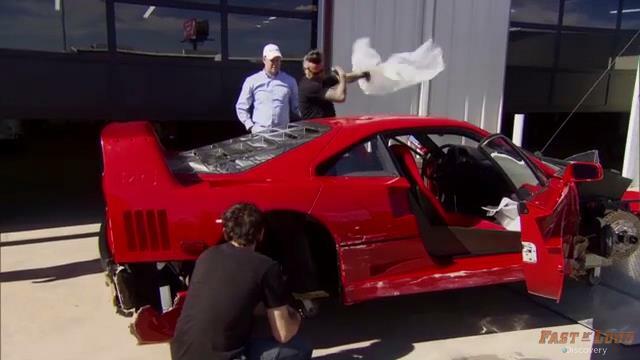 But they did, and with some imported extras (they broke an F40 windshield $7000! 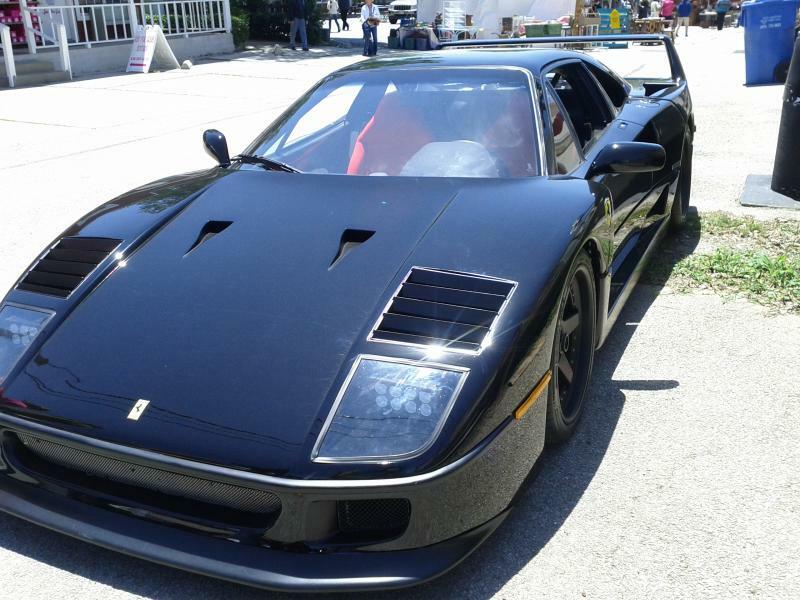 ), the guys at Gas Monkey Garage unleashed this black 700HP F40. Aaron hated the original felt style dash and standard seats, so they upgraded them, the seats proper racing buckets that actually suited the F40 better than the originals. Although there’s nothing really wrong with the standard Ferrari rims, these larger black alternatives really suit and set the black beauty off. And just to think this gorgeous creation stemmed from this wreck below.